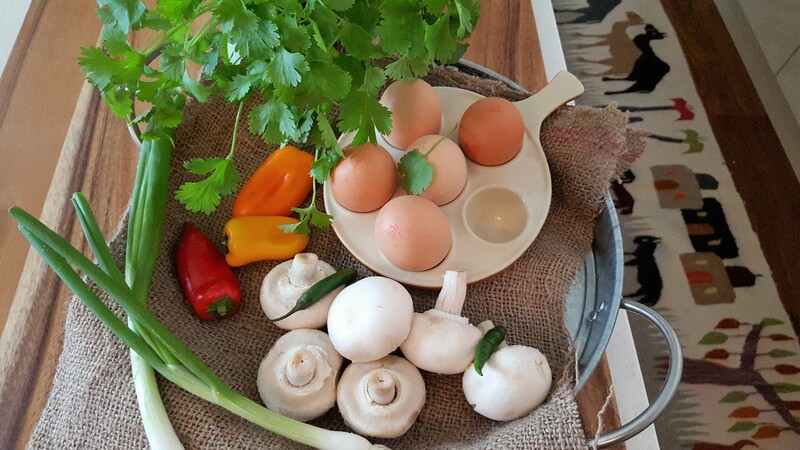 An Omelette is such a simple dish and easy to make…when you think an egg is such a readily available ingredient that can be adapted to create so many dishes. Rich in many nutrients eggs combined with a few other ingredients can be made into an even more wholesome dish. The ultimate convenience food, great powerhouses of nutrition, packed with protein and minerals. 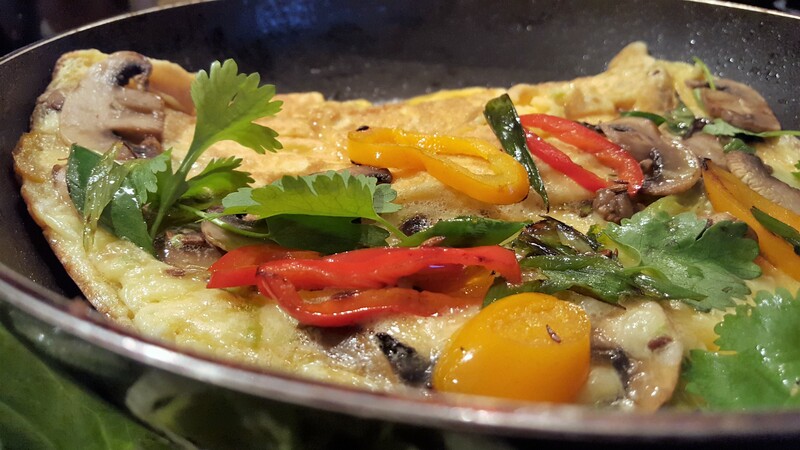 An omelette every so often, you can have a wholesome dinner – cheap and cheerful meal in no time. 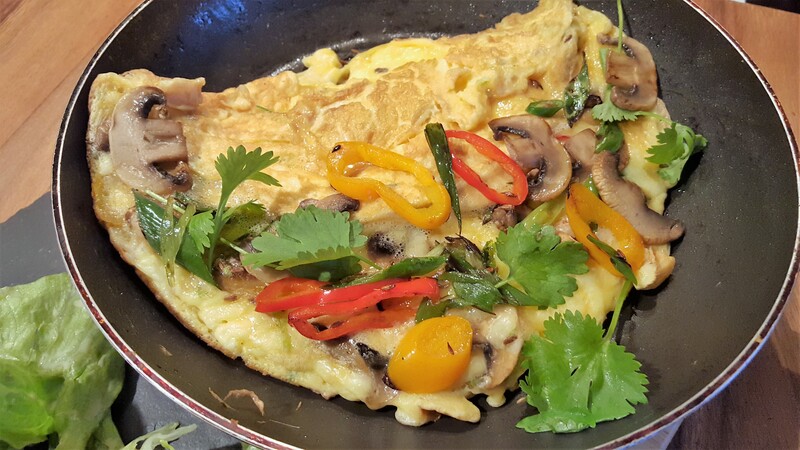 As part of my support for the Jamie Oliver Food Revolution campaign, I have yet another super duper easy omelette filled with some lovely ingredients, to satisfy many taste buds. Back with the ever favoured egg. Start by chopping and preparing the accompanying ingredients and set aside. Crack the eggs into a mixing bowl, beat the eggs together in a mixing bowl, add the chopped chillies, season to taste, with salt and pepper. Put a small frying pan with a drizzle of olive, fry and toss the mushroom with a pinch of salt and toss until wilted and golden. Remove and set aside. Turn the heat off and in the same hot frying pan quickly toss the sliced pepper and spring onions. Heat the frying pan with a little knob of butter and a drizzle of olive oil, add the cumin seeds (if using) pour the beaten eggs into the hot pan, move to spread around the pan and cook for a few seconds, until the bottom of the omelette until is lightly set. 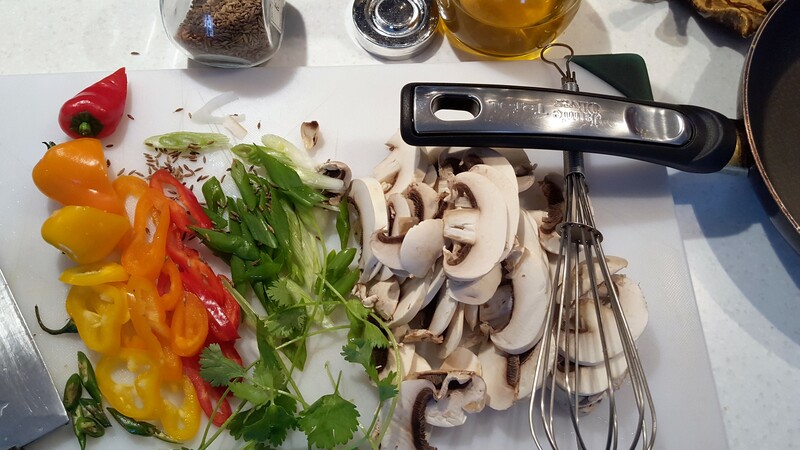 Add the mushroom, sprinkle over the cheese, peppers, chopped spring onion and coriander (if using). 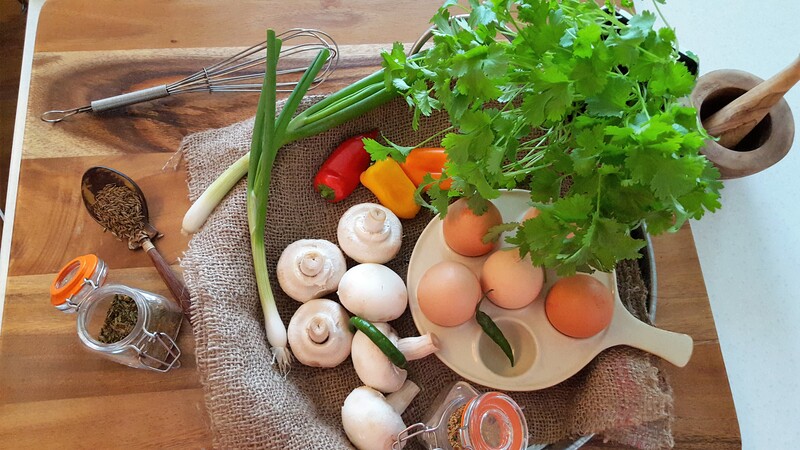 Reserve some of these ingredients to garnish the omelette. Using a spatula, turn the egg over in half as seen in the picture. 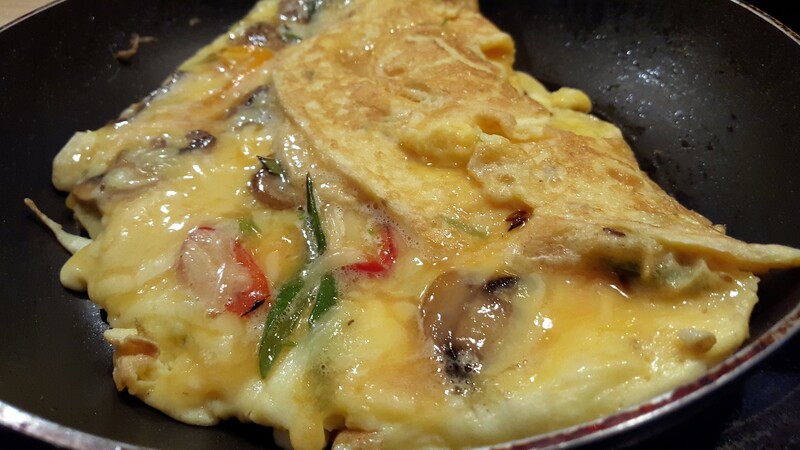 Carefully move the omelette in the pan until the bottom is golden brown. Remove place on serving plate and garnish with reserved ingredients and some fresh coriander leaves.